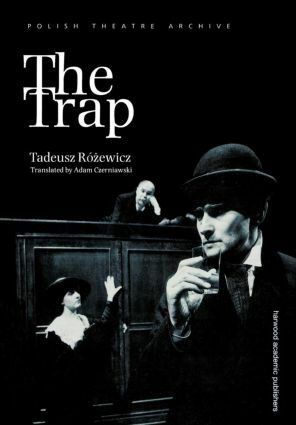 "Loosely based on Franz Kafka's diaries and letters, The Trap is an enigmatic work that "sets traps" for literal-minded critics, directors and audiences. Not one of the Czech author's literary works is ever mentioned, nor does the name Kafka once appear. This is hardly the usual life of an artist where titles and names are constantly dropped. . . .brIn fact, Rozewicz is more concerned with Kafka's inmost fears than with the reality of his life. bThe Trap/b dramatizes anxieties and nightmares of the artist Franz, as he himself experiences them in relation to his father, his friend, and his fiancee. And despite his attempts to escape the many threats of confinement - existential, societal, and historical - assailing from all sides, the traps are too cunning for Franz.